These creatures have a truly amazing life cycle and are widely regarded as the most sought after and treasured game fish in the entire northern hemisphere and have earned the reputation as being the ‘King of Fish’. Their amazing life cycle commences in the shallow water gravels on their native Scottish river and not always up in the headwaters as most people imagine. Given mother nature diversity she has split the runs up into 3 main runs to match the seasons of Spring, Summer & Autumn. The spawning season takes place in the depth of Winter and is triggered by the first hard frosts of the year. The salmon’s eggs are buried in the gravel and these are known as ‘redds’. During late Spring as the temperatures rise these eggs hatch into salmon fly where they’ll grow into salmon ‘parr’ and will feed in the river as juveniles for typically up to 3 years. After this stage of development these ‘parr’ transform into smolts and head to the sea to feed. When they migrate downstream this amazing fish can make the transition from fresh water to sea water in the estuary areas before migrating northwards to the rich feeding grounds off the vast coast of Greenland & the Faroes Isles. In the ocean these young salmon put on their bodyweight and can stay at sea anywhere from 1 to 4 years before their migration route back to their native Scottish river begins. Scotland has hundreds of beautiful salmon rivers which all fit into various different patterns for salmon appearing in them. To try to simplify this for you firstly need to understand that the bigger and deeper salmon rivers of Scotland enter the North Sea on the East Coast and it is these bigger Scottish salmon rivers which fish well thought their long salmon fishing seasons which tend to be from early Spring right through to late Autumn. To summarise this precisely for you the River Tay which is Scotland’s longest & largest salmon river opens on the 15th of January and closes on the 15th of October. The slightly later opening River Dee commence fishing on the 1st of February and fishes right through to the 30th of September. The River Spey commences fishing on the 11th of February and like the Dee finishes on the 30th of September. The latest closing big Scottish East Coast river is the River Tweed which again opens on the 1st of February and closes on the 30th of November each year. These big Scottish salmon rivers are referred to as the ‘big four’ and for many visitors to Scotland they represent the safest options for suitable water heights due to their size and depth. The Tay as the best example is fed by multiple huge headwater lochs which make up part of this famous Scottish salmon river’s massive catchment and even during periods of extended low rainfall the Tay still always has sufficient water for fresh salmon to run upstream off the tide at Perth. This vital component that the bigger Scottish rivers benefit from are obviously the safest fishing options if you’re planning a Scottish salmon fishing trip for 1 day or 1 week. Here's some of the best Scottish salmon fishing beats to give you a clear insight into the beauty and geographical location of a few great examples of what Scotland has to offer. 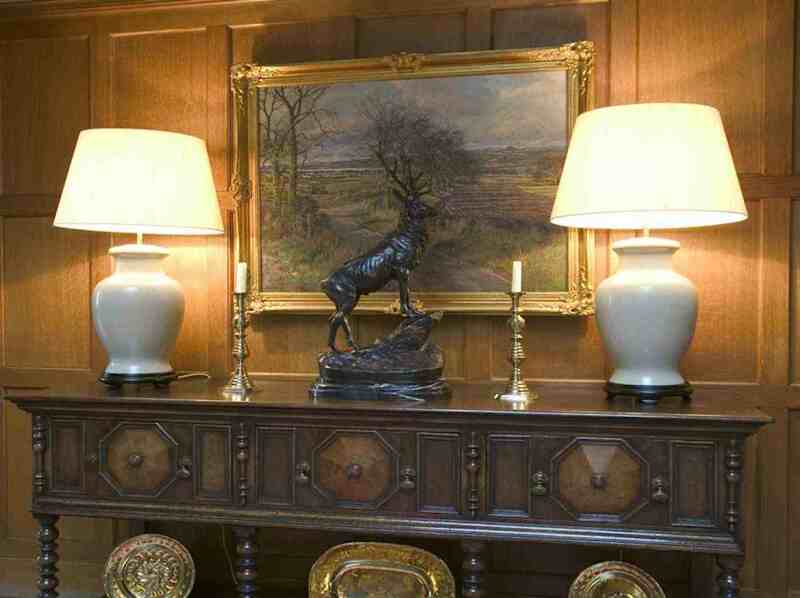 Dunkeld House is a very good salmon holding beat of the River Tay. This middle Tay beat fishes well throughout the entire River Tay salmon fishing season from the 15th of January to the 15th of October. 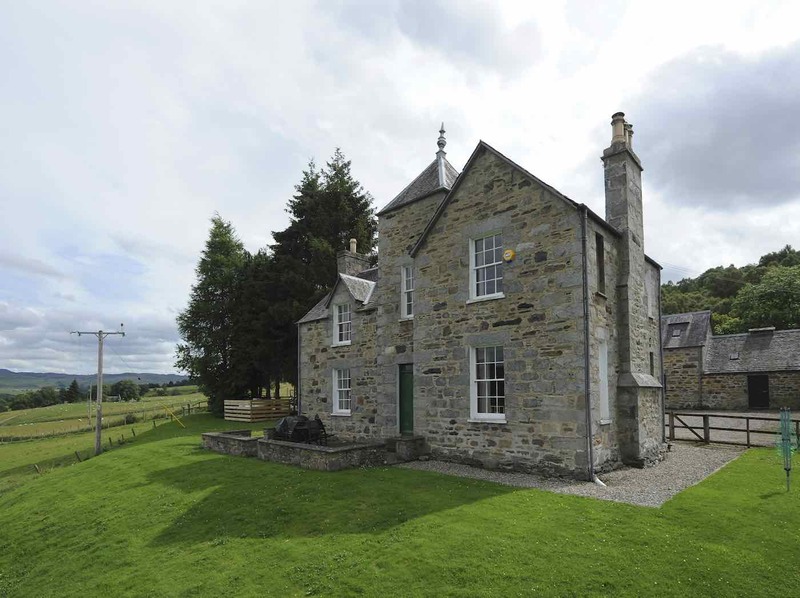 Click this link for more details on Dunkeld House salmon fishing. 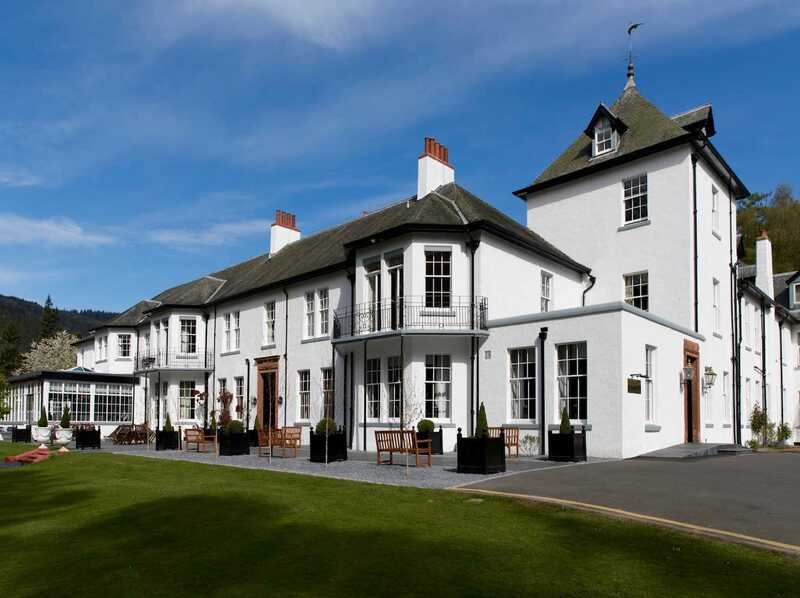 Glendelvine is a famous Tay salmon beat that fishes well throughout the River Tay salmon fishing season from 15th January to the 15th of October and is where the British rod caught record salmon of 64 pounds was landed by lady salmon fisher Georgina Ballantine in 1922. Click this link for more details on Glendelvine salmon fishing. 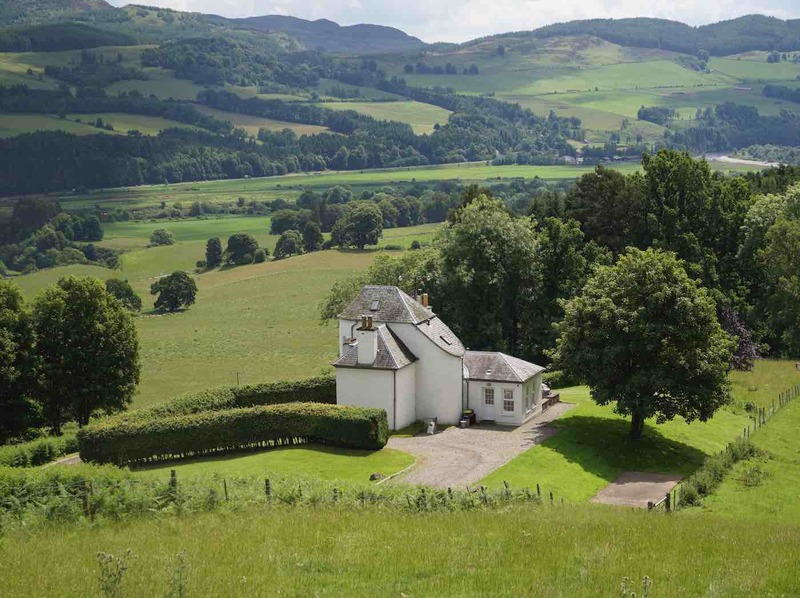 Islamouth is the River Tay's most prolific salmon fishing venue and is run by a syndicate and is in high demand due to this Tay venue's immediate downstream positioning from the River Isla confluence. Click this link for more details on Islamouth salmon fishing. Stobhall is yet another famous Tay salmon fishing venue with a big reputation within Scottish salmon fishing. 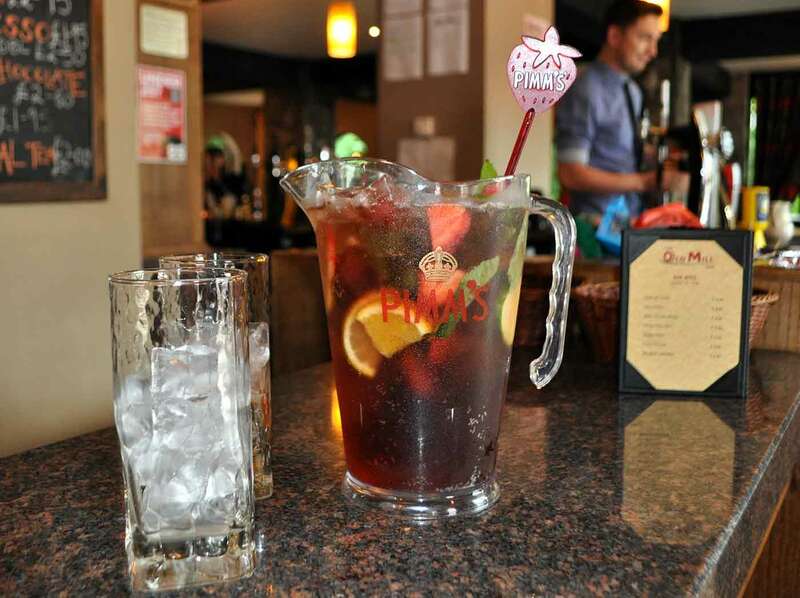 Stobhall water is shared on alternate days with the equally famous Taymount beat. Stobhall is also River Tay salmon fishing at its absolute best. 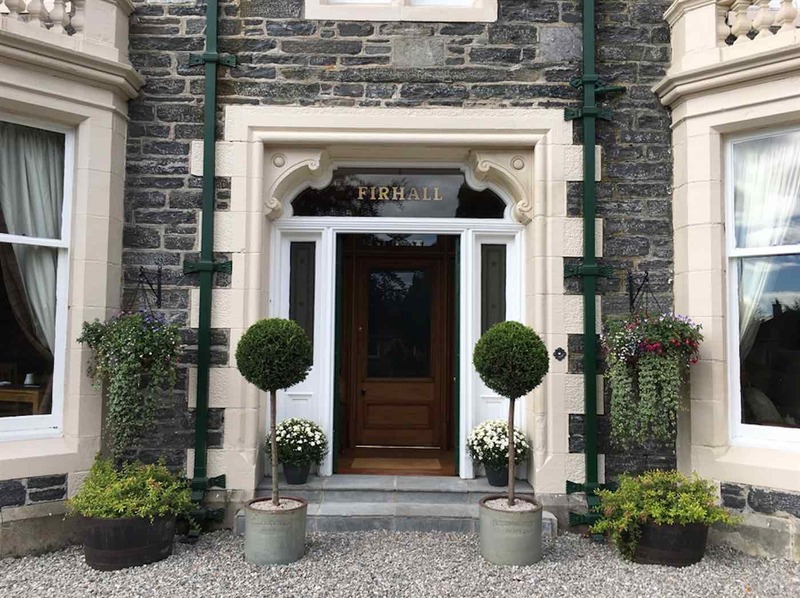 Click this link for more details on Stobhall salmon fishing. 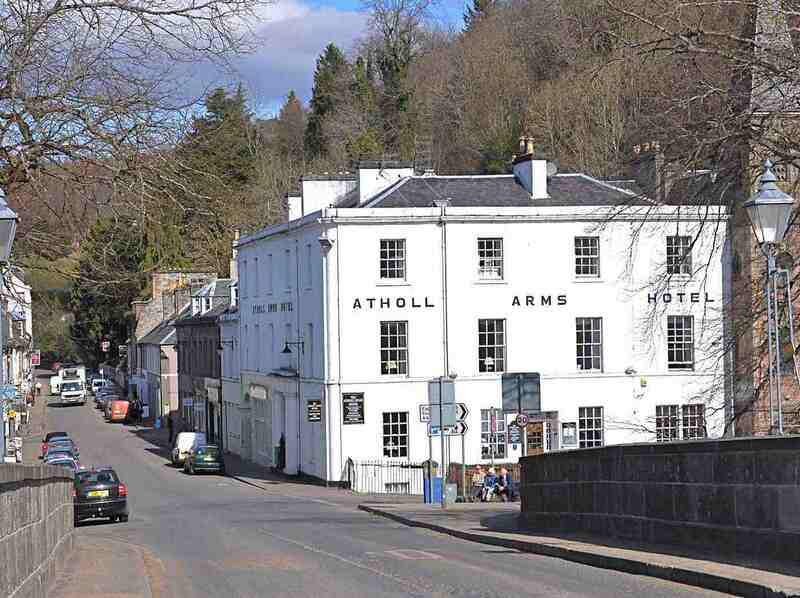 Ballathie is another brilliant example of the best salmon fishing on offer on the River Tay. The Ballathie Beat rotates its fine lower Tay holding pools with the Cargill Beat and many hundreds of salmon are caught on this stretch of the Tay each season. Click this link for more information on Ballathie salmon fishing. Delvine & Burnbane has only recently been opened up commercially as an accessible middle Tay salmon fishing venue as for many years it was run by a private syndicate. The British record salmon was landed at the upstream boundary of this lovely middle River Tay salmon beat which adjoins the famous Glendelvine beat. Click this link for more details on Delvine and Burnbane salmon fishing. Lower Kinnaird is probably the most famous middle Tay beat and is very worthy of a visit from any salmon fly fisher such is the beauty of its pool formations. Click this link for more details on Lower Kinnaird salmon fishing. The Upper Kinnaird salmon beat of the middle Tay has the most fascinating blend of salmon fishing on the entire Tay system. 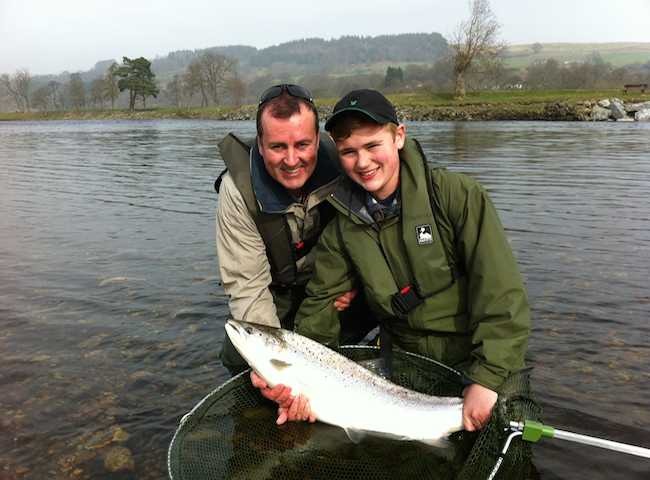 Click this link for more details on Upper Kinnaird salmon fishing. The Lower Tummel salmon pools are typical of the fantastic flows of this perfect Tay tributary which has truly amazing Spring fishing each year. Follow this link for more information on Lower Tummel salmon fishing. Loch Tay trolling is a completely different experience as traditional boat fishing slowly trolls around the likely salmon holding areas of the north end of this famous Scottish loch. Click this link for more details on Loch Tay salmon fishing. The beautiful Crathie beat is positioned in the upper River Dee catchment between the Royal Deeside towns of Banchory & Ballater. 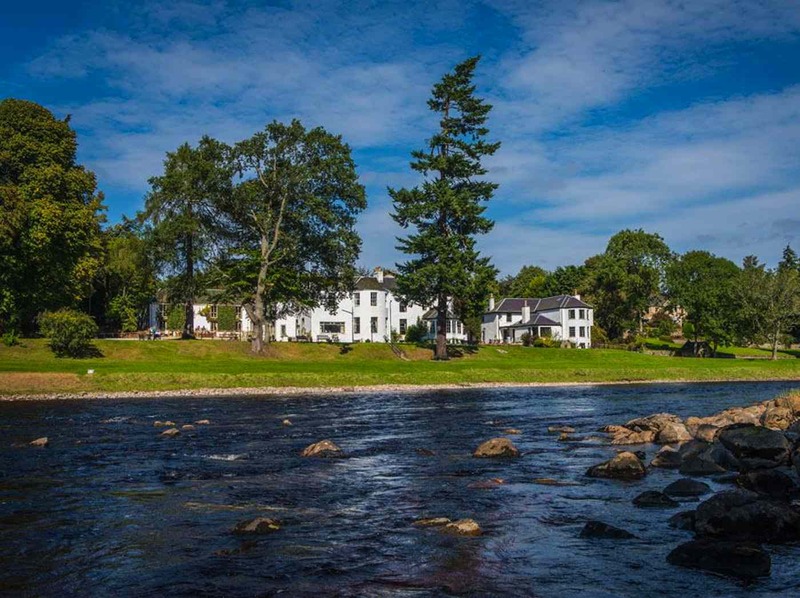 This 9 mile stretch of the famous River Dee commences near Balmoral Castle and makes the Crathie salmon fishing beat one of the very best and highly scenic River Dee fishing venues. 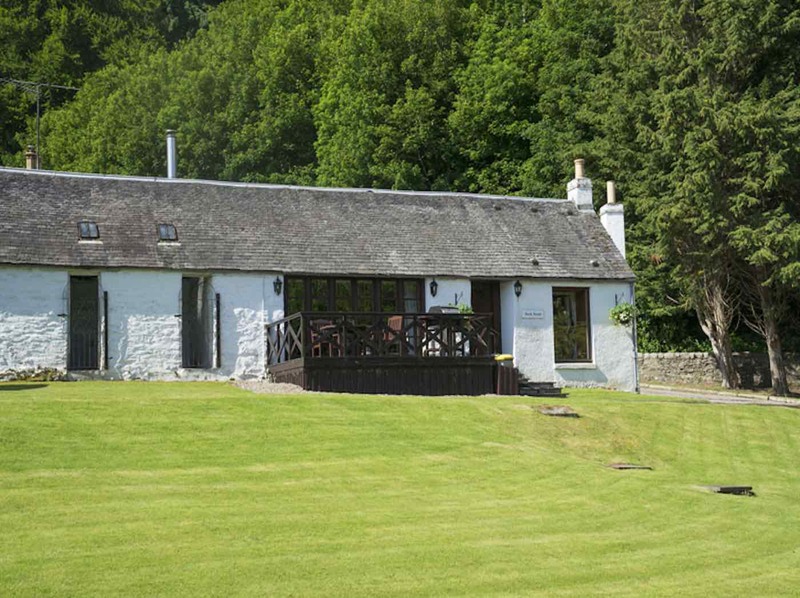 Invery & Tilquhillie is a fantastic middle River Dee salmon fishing venue within a stone's throw of the popular Aberdeenshire town of Banchory. Click this link for more details on Invery and Tilquhillie salmon fishing. The Banchory Beat of the River Dee has some of the very finest middle Dee salmon holding water on it due to the confluence of the River Feugh which enters the Dee here. Follow this link for more detailed information on the Banchory salmon fishing beat of the River Dee. Lower Blackhall is another fine River Dee salmon fishing venue immediately upstream of the bridge in Banchory. Click this link for more details on Lower Blackhall and Kinneskie salmon fishing. 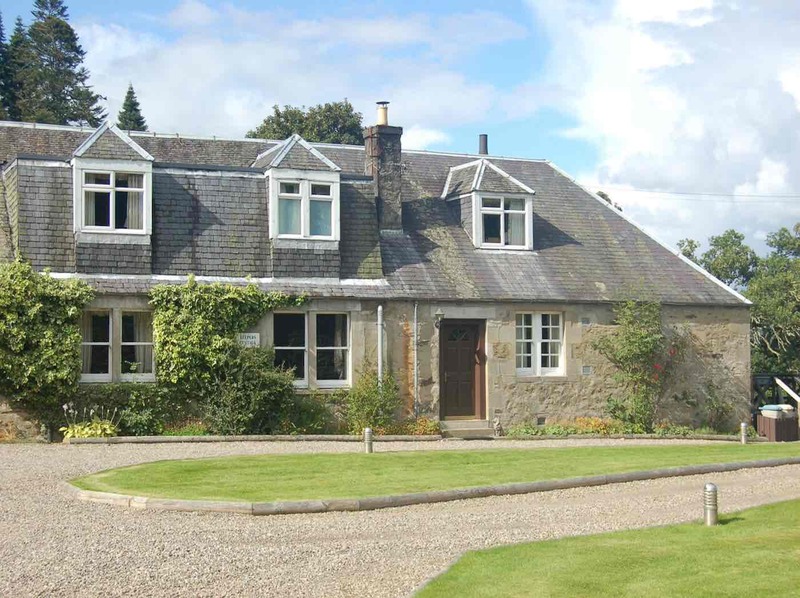 Lower Woodend is located close to the Aberdeenshire town of Banchory and has pools that hold salmon even through the low water months of the season. Click this link for more details on Lower Woodend salmon fishing. On the shallower rivers of Scotland the salmon runs are mainly geared to arrive occasionally in the Spring but mainly after the first spates of late Summer and through the Autumn months and are much more ‘timing’ dependent from a fishing point of view than the bigger East Coast rivers. Famous Scottish rivers like the River Conon, River Beauly, River Brora, River Helmsdale, River Thurso, River Don, the rivers South Esk & North Esk, River Teith, River Earn, River Lochay, River Findhorn River Annan, River Stinchar, River Doune, River Orchy River Awe to name but a few all share great sport each year. The same salmon run pattern exists on the West Coast Islands of Scotland of Sky, Mull, Lewis, Uist & Harris which due to there shallower river nature see s the bulk of their salmon arriving after the Summer spates and thereafter. 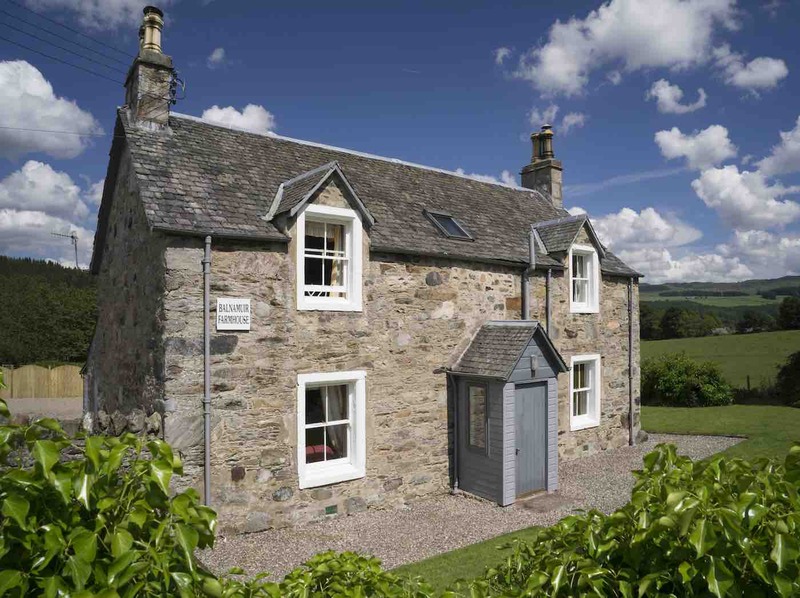 It is crucially important that when you book a Scottish salmon fishing trip you consult with a professional salmon fishing agent who knows exactly where the better managed salmon fishing venues are in Scotland that offer a good chance of sport during the days or weeks you are available to travel on. 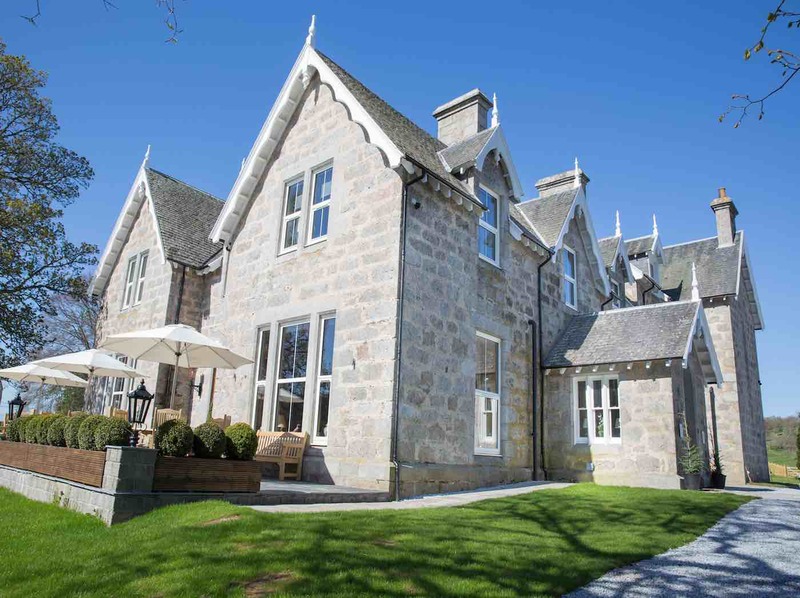 Like most other industries there are only a few who really understand the business they are in and who have the required ‘attention to detail’ to put together a meaningful itinerary where conscientious care and attention has been fully applied to a guests Scottish salmon fishing trip proposition with also recommend tried and tested accommodation options. If you're new to salmon fishing and need to be brought upto speed quickly and effectively then there's no better way to do this than to hire the professional services of a Scottish salmon fishing guide. A professional guide will supply all the required salmon fishing tuition and the appropriate salmon fishing equipment along with the salmon fishing permit(s). A professional salmon fishing guide service is available on the River Tay, River Tweed, River Spey & River Dee. The difference between a personal salmon guide and a salmon beat ghillie is that a personal guide is dedicated exclusively to you or your party for the entire fishing day(s) which runs betwen 9am & 5pm. A Scottish salmon beat ghillie has a responsibility to look after all the daily salmon fishers and is not there to dedicate himself to tuition or personally attending all day to one salmon fisher or his group. To treat a loved one or friend who is not familiar with Scottish salmon fishing and all the required salmon fishing equipment & tuition it is advisable to purchase a Scottish salmon fishing gift voucher for them to ensure a quality introduction to the sport. A salmon fishing permit on its own is of no value to an inexperienced salmon fisher or anyone who doesn't hsave the correct salmon fishing equipment levels. The above link provides detailed information on professionally guided Scottish salmon fishing experiences on the rivers Tay, Spey, Dee & Tweed. An electronic digital gift voucher or hard copy can quickly be sent to you. 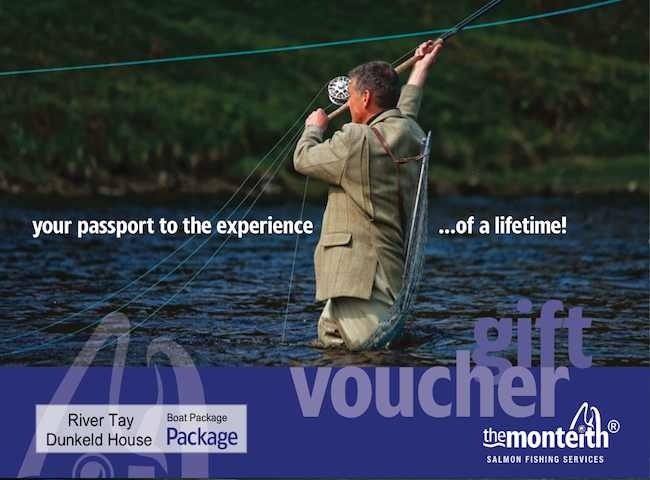 Salmon fishing dates can be arranged after the gift voucher recepient receives their gift voucher. This topic is very rarely discussed but is so important for consistent success in this amazing sport. In salmon fishing a stealthy approach to any salmon pool is important so as not to spook any salmon that may be present. I’ve seen anglers before starting to fish crunching their way over the gravel right up the side of a pool that they’re about to fish through instead of taking a wider berth route to the top of the pool so as not to move closer lying salmon out of their lies. The first thing a salmon should be aware of is your salmon fly and not ant commotion or disturbance while getting into position before starting to fish a salmon pool. Another big error that I often see is salmon fishers with their chest waders on going into a pool far too deeply which will move any close lying fish to the other side of the pool or right out of the pool in some cases. When fishing any Scottish salmon pool it is important that you exercise some stealth and think out your approach route before going near to any salmon pool. As salmon are not feeding while in the fresh water rivers or lochs you’re looking for a fish to react to the movement of your salmon fly or lure. What I mean by this is that you’re trying to trigger a hunting reaction from the salmon as these fish are true predators while feeding in the sea. With this in mind it is important that you do not show the salmon too much of the fly and that you separate each swing of the fly sufficiently to achieve this. Taking 3 good sized steps between each cast will achieve the correct spacing required so you’re not training a salmon to accept the presence of the fly and forcing it to make a decision to investigate through triggering its already present hunting reaction instincts. On the bigger Scottish salmon rivers this 3ft per cast movement will also significantly increase your water coverage over the course of the day which will also obviously increase your chances of locating a ‘taking’ fish. Having been involved in Scottish salmon fishing since 1970 one of the most important parts of the game is knowing how to deal with setting the hook when a salmon takes your fly. I've seen great opportunities to catch salmon wasted by anglers who fail in this very important discipline which is seldom properly discussed or instructed. My personal advise with salmon fly fishing is never to lift into the take with a soft actioned rod and slack reel clutch setting as common sense should tell you that there's little or no hook point pressure generated from doing so. Instead after several seconds of the fly line being drawn consistently off the fly reel then simply clamp the fly reel face with your hand to stop the line dead and feel the weight of the fish for at least a further few seconds. Make sure the rod is pointing down in the direction of the fish when you do this in order to create direct pressure from the reel to the hook point. After feeling the weight of the fish and the line has locked up tight then release the reel and lift the rod. If this is done correctly and as detailed here your salmon will be properly hooked regardless of whether the initial micro hold of the hook points were located in soft or tougher tissue within the salmon's mouth as it turned on your fly. This effective hooking method will allow the salmon's forward momentum & bodyweight (after it has turned on the fly and moves away in the opposite direction) to set the hook for you. Please remember in warmer Summer water the take will be much quicker than cold early Spring water. In the colder water allow a few more seconds before clamping the reel as the low temperatures usually mean a much slower initial take. With a spinning rod fish with a tight clutch setting initially and make sure you don't slacken the clutch off to play a salmon until you're positive that you've had enough pressure to the lure's hook points early in the fight in order to set the hooks properly. When a salmon takes a hard & heavy spinning lure it won't hold onto it the same way it will with a soft & light salmon fly so sufficient early hook point pressure is needed to set the hooks properly. When you initially hook a salmon while spinning it is highly unlikely to bolt away as at this point of proceedings as it will not realise it has been hooked. Having spent 10 years as a boatman on the River Tay I've seen so many lost salmon by anglers spinning from the riverbank & ghillies harling from the boat (a form of river trawling on the River Tay) with their spinning rods who all insisted on fishing a slack clutch setting. All hooks require 'hook point pressure' to be set properly and logic should tell you that regardless of your salmon fishing experience levels. Both these methods should make good sense to you and may possibly remind you of missed opportunities in the past ! Once a hook is set correctly they very seldom come out. It is important to me that any opportunities you get while salmon fishing in Scotland are converted into 'landed salmon' and are not just lost opportunities because no one took the time to give you proper information on this very important topic. These hooking methods are the ones I personally use and teach and have a 90% conversion ratio with as opposed to the normal non clamping fly rod lifting & slack spinning reel clutch procedures which I've found to have a 30% effective hooking ratio. When playing a salmon with either a salmon fly rod or a salmon spinning rod it is important to keep the rod up high and as close to the vertical position as possible which will keep pressure on the salmon throughout the fight and will also act as a shock absorber to counteract any sudden movement from the salmon. The best riverbank position to take to play a salmon is from a side on position. Don't allow the salmon to get too far below you even if it means walking down the riverbank after it. Look for an appropriate landing area for the final stages of the fight where there's deep calm water with no obvious snags or obstructions. Never try to play a salmon in fast water where it can use the higher water pressure to its advantage so always look for the calmer areas of the salmon pool to play the fish in. Never rush the fight or attempt to land the salmon too soon and always wait until the fish starts to show signs of tiring which will be indicated by slower movements at close range with the fish starting to show its flanks and tail. When the time is right place the salmon landing net down in the water and in one steady movement draw the salmon over the sunken net when it's ready and lift the net. Unhooking the salmon should be done in the landing net and in the water to avoid injury to the fish prior to its release. Keep the salmon in the landing net when taking a photograph and make sue you get the fish nicely in frame and on its side to capture the beauty of its flanks and proportions. If fishing with a colleague have them take a shot with you holding the salmon in the landing net. If you hold the mesh bag you can lift the fish to the waterline and tilt the salmon's flanks up towards the camera which creates a great shot. A photograph of your salmon is always a nice memento of the encounter and also for the salmon beats records so a camera should be carried at all times. Try to position the sun behind the camera and include in the shot the pool where the salmon was caught in the background with some of the riverbank. In other words think out your shot in advance and make sure the camera lens is clear & clean for a quality sharp shot. Make sure you camera or phone camera is carried in a waterproof bag to keep it safe from water damage.